but no one believes she's in danger. Except Shepherd Lightman. When Caley's brother asked him to check on her, the marine turned security specialist hoped it would be a case of calming down a nervous veterinarian. But the threats are all too real. Rescuing Caley and remaining alive isn't easy, but resisting his boss's sister is where the real danger lies. Because with his heart in the balance, he'll do whatever it takes to stop a killer who's desperate to keep a secret hidden. 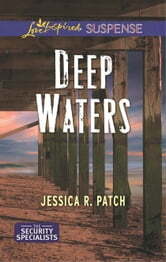 I was so sad to see Jessica Patch's last series end, but not anymore because I have fallen in love with her newest one! 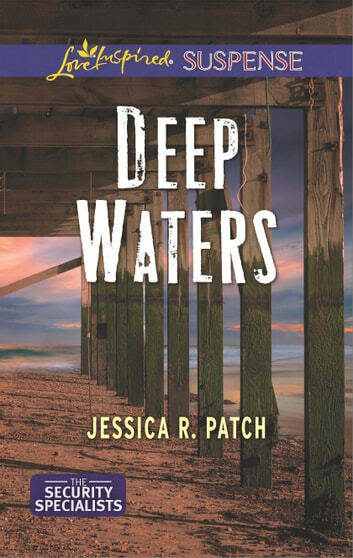 Deep Waters is the first in her new Security Specialists series. Caley Flynn is a marine life veterinarian and sister to Wilder Flynn who devoted Jessica Patch readers will remember from Final Verdict. When Caley finds one of her interns dead, she turns to Wilder for help. Caley believes there was foul play involved, but the authorities disagree. Big brother Wilder sends in Shep Lightman, former Marine and now security specialist, to look after Caley and get to the bottom of what is going on. What begins is the edge of your seat page-turning suspense I have grown to love in her novels. This book is action-packed and keeps you guessing until the very end. It is that perfect blend of nail-biting suspense with just the right amount of romance. An added bonus for the animal-loving Science teacher in me was learning so much about sea turtles throughout the story. This is a must-read! I can't wait for the rest of the series! I was given a copy of this novel in exchange for my honest review.